After some 30 years of waning, my interest in the assertion that the effects of sugar are poisonous was rekindled in April by reading a piece entitled “Is Sugar Toxic?” by Gary Taubes in the New York Times. 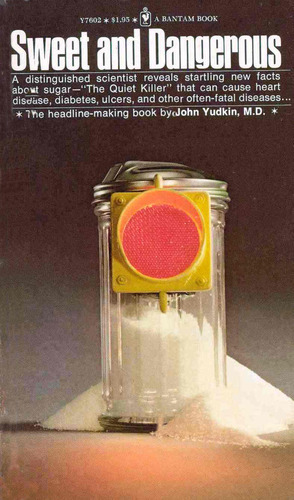 When Taubes wrote admiringly of John Yudkin (1910–1995) (whose short 1972 book “Sweet and Dangerous” profoundly influenced me when I read it in the early 80s), the effect was electrifying: maybe he was right … vindicated after all these years! To sober myself up, I began researching our current understanding of the biochemistry and physiology of sugar metabolism. My research supported an interesting three hour discussion at the 10 July 2011 meetup of the Ben Franklin Thinking Society in Philadelphia. Although the case against sugar is stronger now than it was in the 1970s, there is still no ironclad proof of its toxicity (more on that below). Sentiment against sweeteners with fructose in them (table sugar is one-half fructose) is growing because it has been implicated in several biochemical pathways associated with the so called metabolic syndrome. Metabolic syndrome is a complex of several (usually at least three) of the following factors: abnormal blood fat, high blood pressure, fatty liver, insulin resistance, and new fat deposition. Metabolic syndrome is very important because physicians now realize it is a more accurate predictor for diabetes, heart disease and cancer than any of the symptoms considered separately. The impact of this new perspective and the research that has ensued is starting to challenge conventional wisdom about the dietary factors involved in these diseases. Taubes’ New York Times article starts by referring to the powerful, “viral”, 90-minute, YouTube video presentation by Dr. Robert Lustig indicting sugar. Lustig and Taubes convincingly lay out the case that fructose is a chronic toxin that causes metabolic syndrome. Therefore, it should be implicated as a causal factor in the obesity, diabetes, and cardiovascular disease pandemics. Taubes ends his article ominously by quoting prominent oncologists (cancer physicians) worrying that cancer could be caused in part by fructose & sugar as well (a claim Lustig did not make). Dr. Robert Lustig argues that the “fat is bad craze” has failed us: we reduced our fat intake, but the obesity and diabetes epidemics grew much more intense in the 1990s and 2000s. He observes that the fastest growing epidemic in obesity is among six month old babies! So the disparaging view that gluttony and sloth are the key factors in obesity appears absurd: babies don’t choose gluttony nor sloth — indeed, no one does! Could excess fat be a physiological problem and not a simple issue of “won’t power” (a phrase my grandfather used)? Perhaps our conventional wisdom is wrong? Lustig argues convincingly that a calorie is NOT just a calorie: some have worse physiological effects than others. Lustig’s main thesis is that fructose acts in the body as a chronic toxin of the liver very much like alcohol. He observes that fructose is implicated in eight of the 12 chronic symptoms attributed to ethanol: high blood pressure, heart attack, abnormal blood fat, inflamation of the pancreas, obesity, liver dysfunction, insulin resistance, and habituation. In his not too difficult (but also not too easy) biochemistry lesson, Lustig points out that fructose and alcohol metabolism are nearly identical. Both hit the liver hard and both share many similar metabolic pathways. He concludes that “hepatic [liver-based] fructose metabolism leads to all of the manifestations of metabolic syndrome”. John Yudkin was a distinguished nutritionist and MD. He performed experimental studies and analyses of epidemiological data. 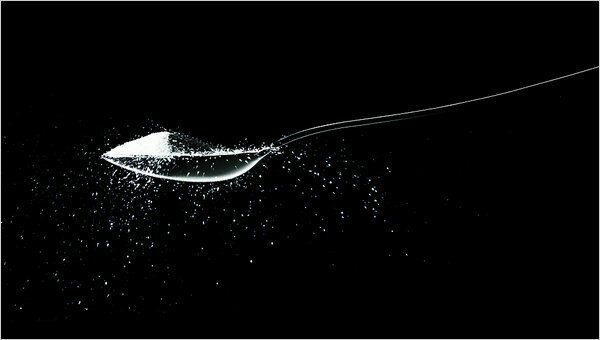 As early as the 1960s, he concluded that sugar has no nutritional value beyond its calories and that if its effects were present in any other substance, it would be banned. This led to a heated debate with another distinguished nutritionist Ancel Keys who first proposed the link between dietary fat and heart disease. In his famous Seven Countries Study, Keys concluded that increased cholesterol and the western diet with its heavy load of saturated fats led to increases in heart disease and stroke. Keys effectively started the fat is bad craze that led to the US government’s recommendation that we reduce fat consumption from 40% to 30% of calories. Lustig argues that Keys may have done his statistical analysis incorrectly. Could the last 30 years of nutritional guidance be based on a statistics mistake? On re-reading Yudkin’s book, I was impressed by his penetrating discussion of the techniques to prove causes of disease (a subject known as etiology). Yudkin observes that “absolute” proof requires pairing subjects into two groups who are as alike as possible with the exception of an experimental intervention. This “gold standard” in medical research is known as a clinical trial. Yudkin explains that the ethical and practical complications of such studies are enormous. Therefore, most nutritional and medical data comes from less reliable and more circumstantial evidence. Yudkin explains in basic terms the nature of epidemiological and experimental evidence and its limitations. Yudkin’s book is a great non-technical introduction to medical research. I wish that more non-technical nutrition and health writing would advise us of the complications in applying insights from new medical research given the inherent limitations especially since so few of us understand reasoning with uncertainty. Health sciences writers would do well to “take a page” from Yudkin’s book.